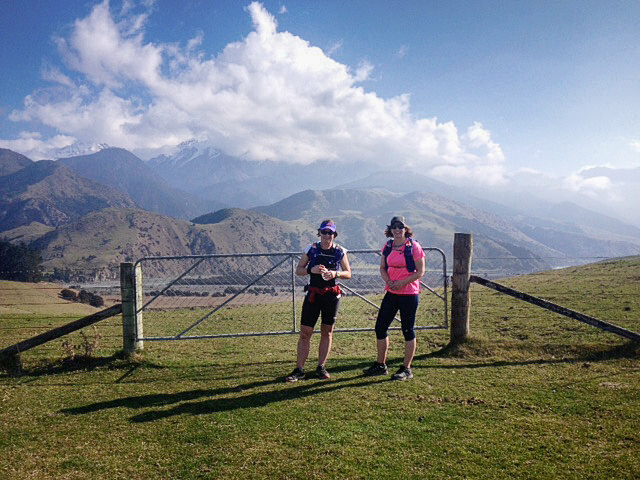 Judith Ford and Emma Fissenden are two local Kaikoura women who are extremely passionate about keeping fit, sports and enjoying the outdoors and all that our amazing part of the country has to offer. Both working full time and juggling children and family commitments, Judith and Emma regularly enter events locally and afar and enjoy the challenge and commitment that races offer. With this passion in mind Judith and Emma set out on a journey of encouraging and inspiring local Kaikoura people to get fit, achieve realistic goals and dreams and enjoy the benefits of keeping fit and having a goal to work towards. It all started with a 5km Summer run series back in 2011 and this grew from a couple of people each week coming along to run or walk 5km along a scenic Kaikoura route, all in a social and fun environment. The 5km series grew to become an all year round weekly series hosted at different locations around Kaikoura offering spot prizes and timed runs each week. Judith and Emma saw a need for a goal for people to strive for and participate in organized, achievable and fun sporting events and developed the Kaikoura Duathlon. This short course was a fun, competitive and encouraging event for children, adults – competitive and social and showcased the most scenic parts of Kaikoura. Following on from this, two 5km fun runs have been held with all proceeds going to The Heart Foundation and the following year to Eli Montgomery, a local Kaikoura boy with a brain injury. These events were extremely popular and well supported by the community and afar. The Bridge 2 Bridge evolved out of a want to help fundraise for our Kaikoura Healthcare Facility and with the help and support of Jane and Ben Millton from Clarence, the Bridge 2 Bridge was held in October last year and was a staggering success. Over 150 participants travelled to Clarence to participate in either a 21km run, 10km run, 21km mountain bike or 30km mountain bike. A total of $6,900 was raised for the Kaikoura Healthcare Facility and plans are now well underway for the Bridge 2 Bridge being held on the 15th of October 2016. Our goal is to grow the Bridge 2 Bridge and encourage as many people as possible to get out there and set themselves a realistic goal, enjoy the journey of achieving that goal and getting fit along the way. Our goal is to grow the Bridge 2 Bridge and encourage as many people as possible to get out there and set themselves a realistic goal, enjoy the journey of achieving that goal and getting fit along the way.